If you require legal assistance in litigating a claim for damages resulting from a personal injury, contact Powell Law. Our long history of success in representing the residents of Northeastern Pennsylvania makes Powell Law the clear and obvious choice for representation in personal injury matters. When the Pennsylvania legislature introduced the bill that became “Daniel’s Law,” imposing stricter penalties for those that text and drive, it sent a clear message to all motorists in Pennsylvania. Lawmakers enacted this legislation inspired by the case of Daniel Gallatin who was killed by a driver who was in the process of exchanging text messages with an acquaintance on her phone. Gallatin’s family sued the driver . . . and the person who texted her. After police conducted a search of the driver’s phone, they found a text message from the co-defendant stamped with a time proximate to when the accident occurred. The court ruled that the driver’s texting caused the distraction and the rear-ending of Gallatin’s motorcycle. 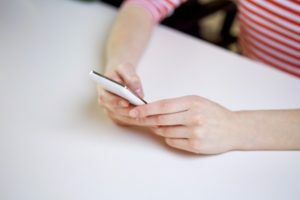 Further, the sender was potentially exposed to liability because he knew or should have known that the recipient was driving when he sent the text message. Thus, the Pennsylvania court that heard Gallatin’s case sent another clear message by allowing Gallatin’s family to sue the non-driving sender of the text. It based this finding on the concept that a person has a legal duty not to text another person whom they know is operating a motor vehicle. Determining all potential defendants to sue is not always clear. The personal injury attorneys at Powell Law have the necessary expertise to help all accident victims bring a cause of action against all those who may be liable for damages. Our decades of experience make it the clear and obvious choice for representation in the Scranton/Wilkes-Barre and surrounding areas. Contact Powell Law at (570) 961-0777 or visit us online. The consultation is FREE and you don’t pay unless we win!